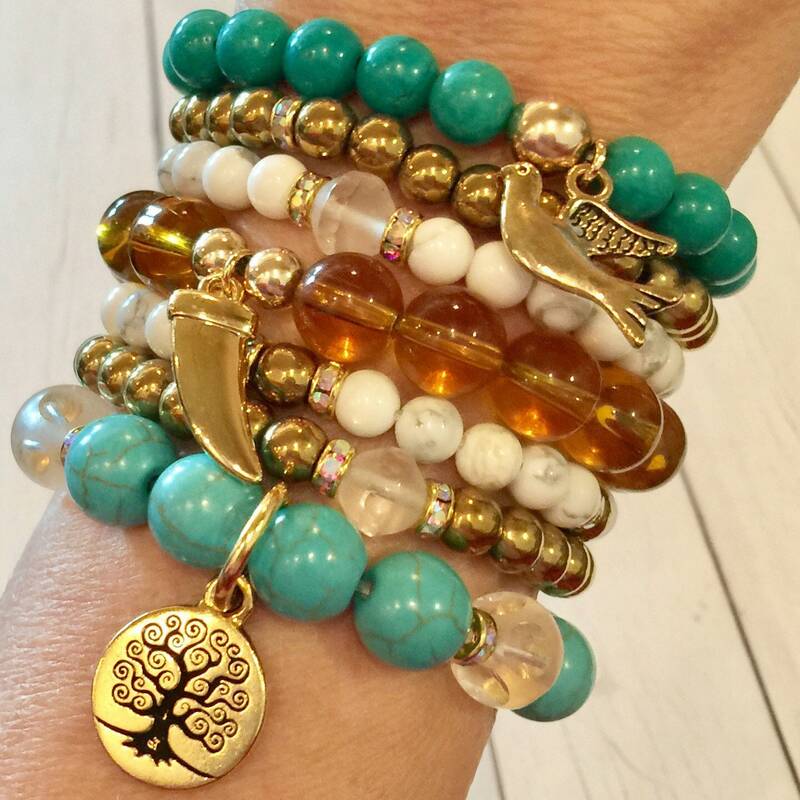 All components are real gemstones (not glass or plastic) accented with 14K Gold Filed accents (including the charm O-rings), genuine Swarovski AB rondelle beads, and gold plate charms. 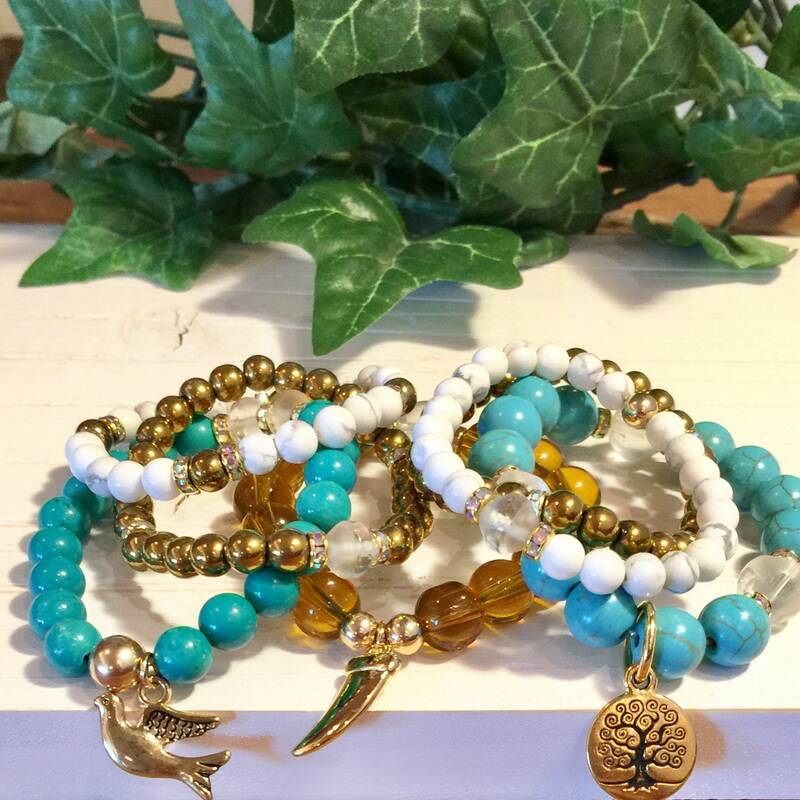 I make my stretch bracelets with 10 to 14 pound test weight elastic cord (latex-free) that I prestretch to make sure your bracelet will last! 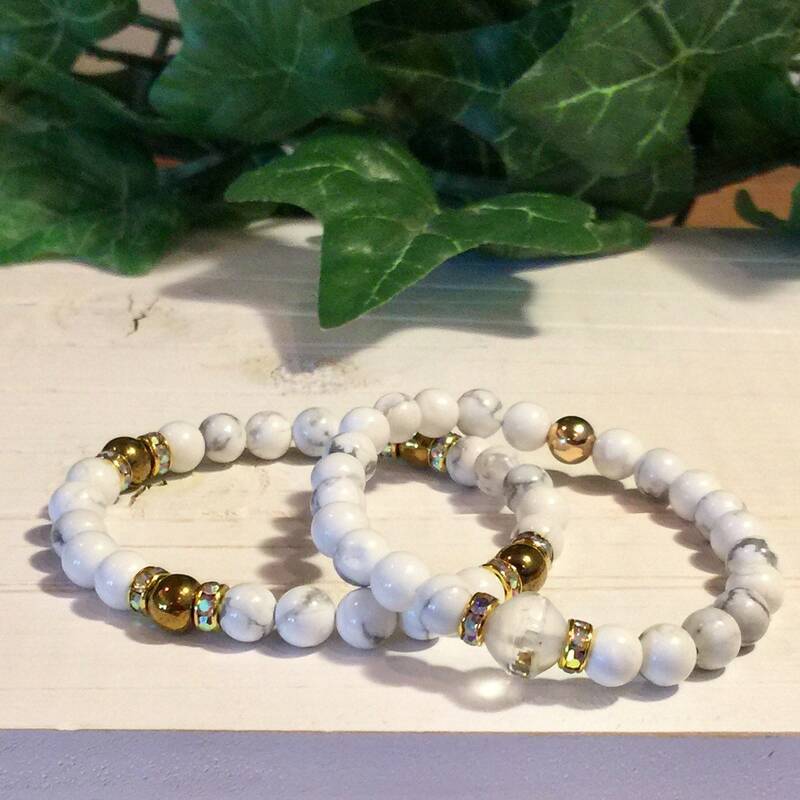 All knots are hidden within the beaded bracelet and hand glued with a waterproof glue. 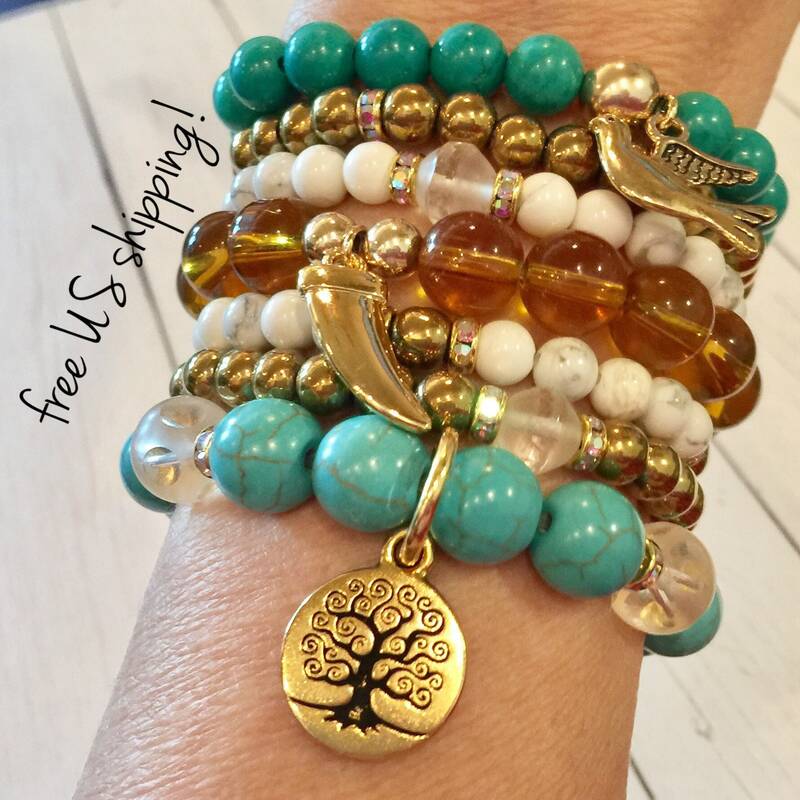 You cannot break these bracelets! 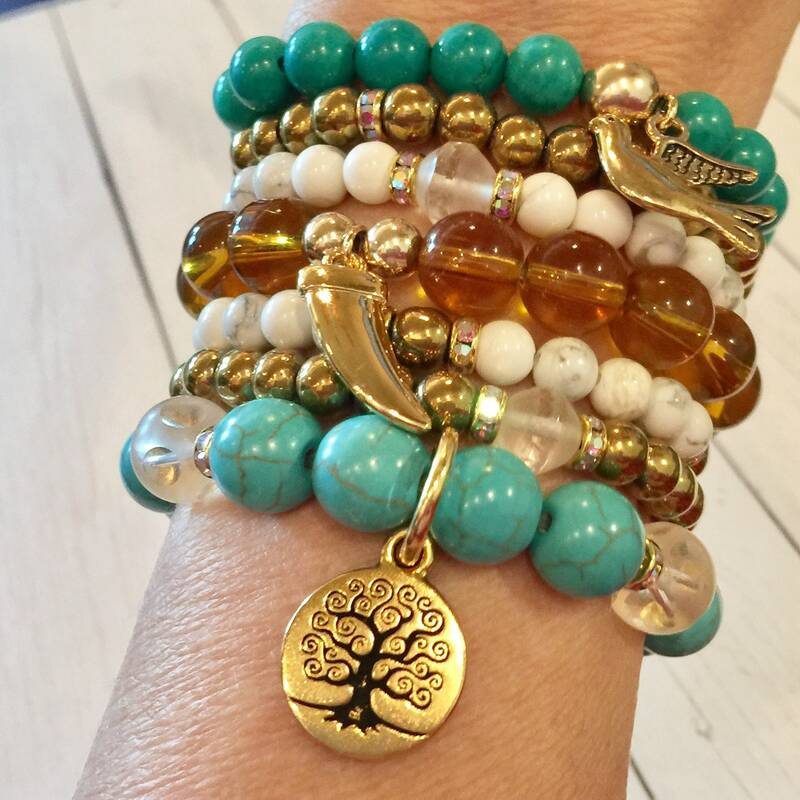 Get this boho beaded bracelets stack before your next vacation! 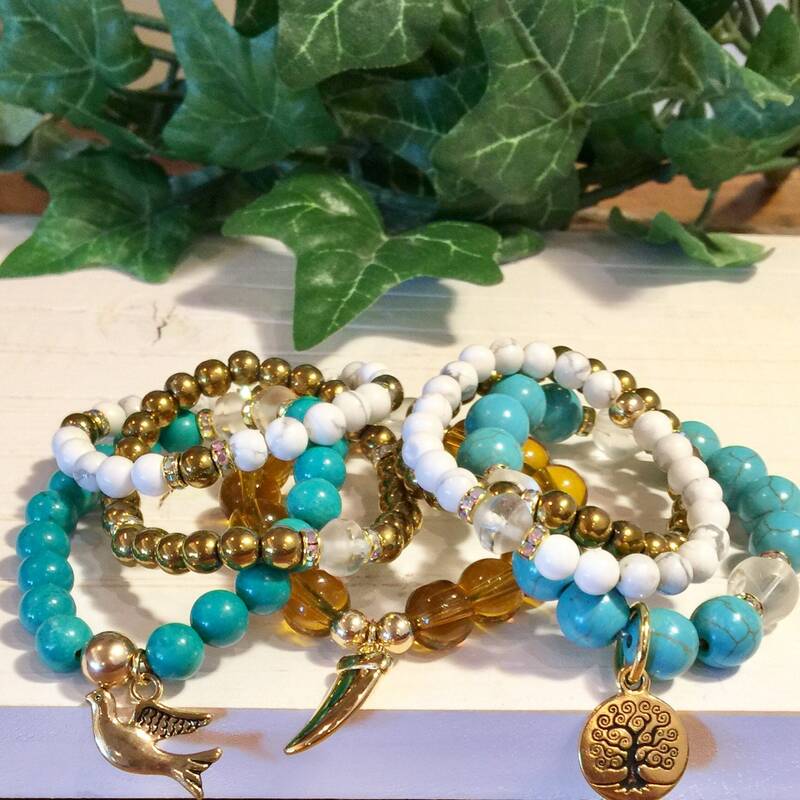 Note: This listing and pricing is for seven single strand bracelets. 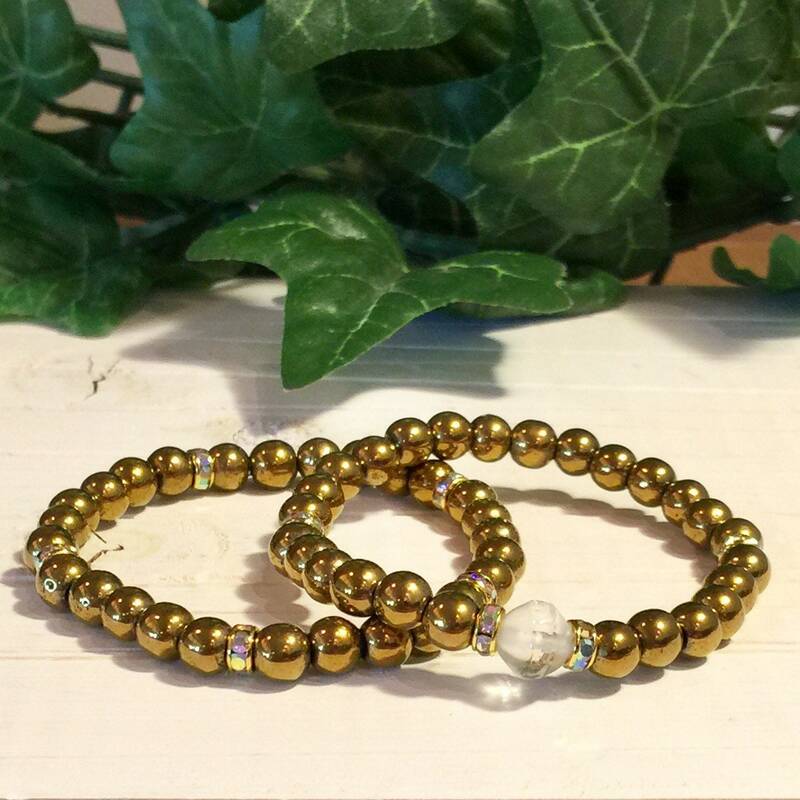 Bracelets are 7" internal diameter, average women's wrist size. 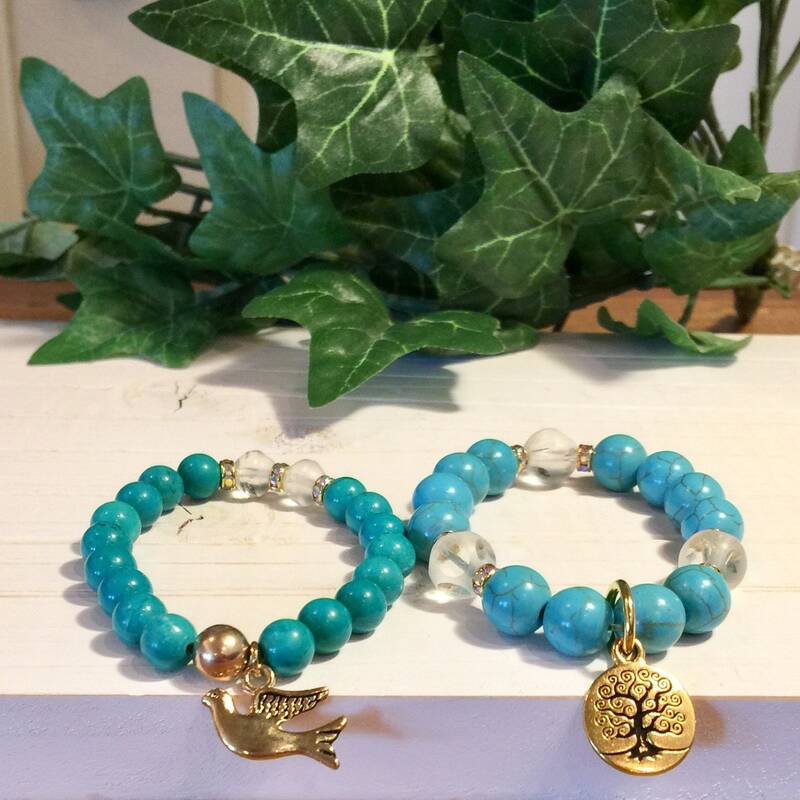 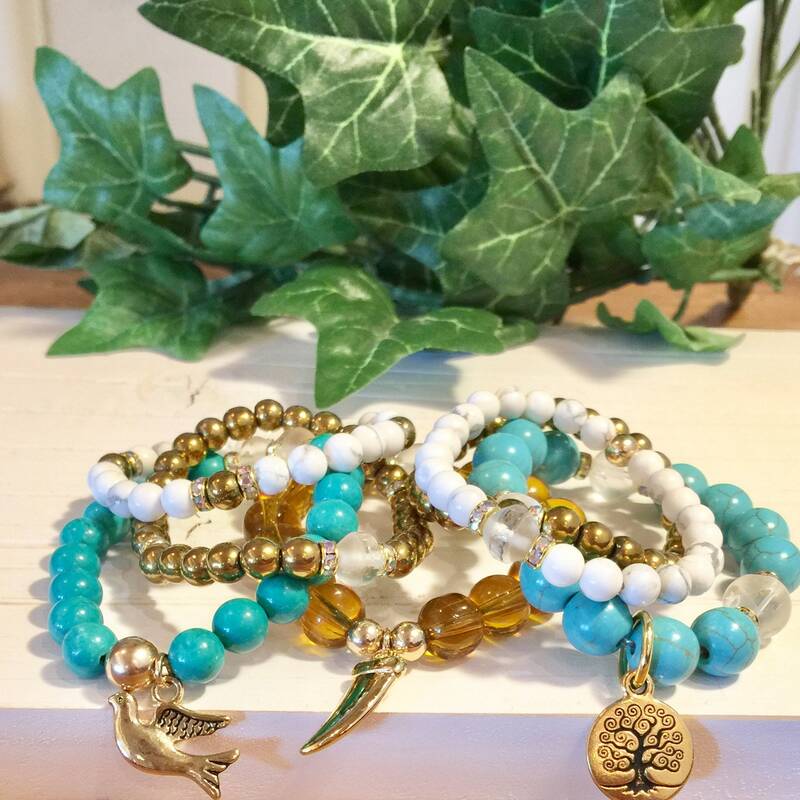 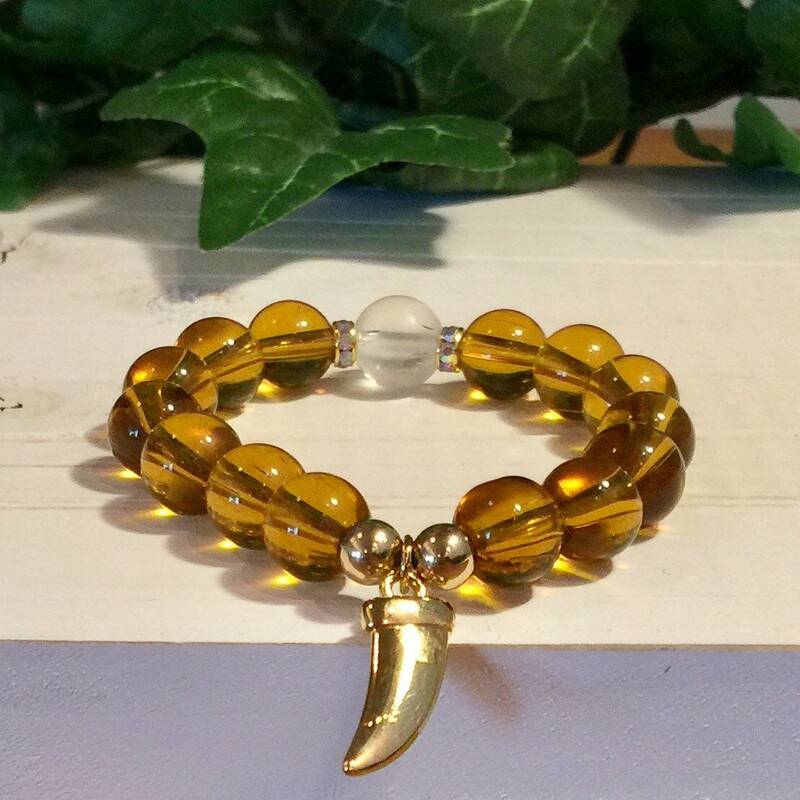 All of our jewelry is made with real, natural gemstones (no plastic, acrylic or glass), 14K gold filled / sterling silver or 22K gold plate / silver plate beads, and 100% real leather (never PU or faux leather).